In hindsight when Focal released its new pairing of Utopia and Elear headphones simultaneously in 2016 from Saint-Etienne in France, Focal seemed to have intentionally bound the lauded cost-be-damned Utopia and the oft overlooked Elear for healthy sibling rivalry right from the outset. For good reason upon reception into the marketplace the Utopia (£4,000) was quickly anointed homecoming king of the headphone dance and was whisked away on a red carpet to receive the majority of the press and headphone community’s attention. However, as in any good sibling rivalry, the Elear was not about to be pushed over nor would it concede any ground to older brother Utopia no matter how famous and admired the Utopia quickly became. The Elear headphone (£1,000) is ready to show anyone who has failed to win the powerball lottery in recent months that it too has quite a bit to say about high performance. When Utopia passes far over many of our heads and the bright trail of stardust has dissipated at last you would be quite wise to let your eyes adjust and take a long fresh look at the Elear, which has been patiently waiting for its turn in the spotlight. In fact, the closer you inspect the Elear the more family resemblance you will find with the Utopia, despite the Elear being listed at a quarter of the price. The on-going conversation about who is really top dog in the Focal headphone family just got a whole lot more interesting when value entered the conversation, didn’t it? The Elear headphones (like the flagship Utopia) are an open back circum-aural headphones designed around a visually seamless “one piece” aesthetic. The key to the Elear and Utopia design is that these headphone systems were conceived as open-backed, full-range loudspeakers with “perfect” frequency response. This goal of frequency based design necessitated incorporation of light weight materials and and driver diaphragms in order for the Elear’s drivers not to become physical roadblocks to sound reproduction--a pitfall some bulky, over-engineered headphones have failed to avoid. Focal makes no secret that the Elear headphone borrows several key innovations drawn from the Utopia’s extensive research and development period. One of the most compelling innovations is that the Elear boasts is its own M-shaped cone/dome made of aluminium/magnesium (this in contrast to the Utopia’s similar driver diaphragm, which is made of beryllium). Focal believes the M-dome allows an added degree of physical space in the earcup that allows the plane sound wave to fully develop much as it would in a loudspeaker, but in the limited space available inside the Elear’s ear cups. The Elear tests at an impressive demonstrated frequency response of 5Hz to 23kHZ. While this specification generally can be a red herring of sorts, the Elear complements the impressive measured frequency response with a relatively high impedance so you should not have an overly tough time matching it with any modestly powered headphone amplifier. While the Elear will play nice with a variety of headphone amplifiers most of Elear’s nearest competitors such as the Oppo PM-1 and HiFiMAN Edition X have a much lower impedance further raising the stakes for spot-on amplifier pairing. The Elear’s successful focus on dynamics is further bolstered with a lighter (and bigger) than its competitors 25mm x 5mm diameter voice coil and it also sports an 80 micron thick suspension. All of these choices drive home Focal’s key design tenet yet again: a headphone is enabled to excel when it can produce the highest frequencies and producing the truest frequencies comes down to light weight parts and engineering with minimal mass to move. Potential buyers and window shoppers of the Elear will be pleased to realize that many of the remaining comparisons between Elear and Utopia are merely cost effective material trade offs or in some cases exactly the same components between two headphones. Take the headphone yoke for example, with Elear you get a solid aluminum yoke; with Utopia you get Carbon Fiber. With Elear you get a microfibre-lined headband and earpads; with Utopia you get true lambskin. Sounds pretty acceptable for £3,000 less than Utopia, I think you will agree. When looking at the signal cables, you will be pleasantly surprised that the 3M OFC shielded low impedance cable is actually exactly the same between both headphones. A quick note here on the cord: this beefy cord might be considered heavy and cumbersome to some. My tastes have always trended towards preference for a solid feel and build so it did not bother me, but it certainly has significant weight for some who might find this an annoyance. All in all the design and material choices Focal made for the Elear pull some of the best parts of the stunning Utopia right out of the starry stratosphere and puts them back within reach of many of us for the fairly managable sum of £1,000. 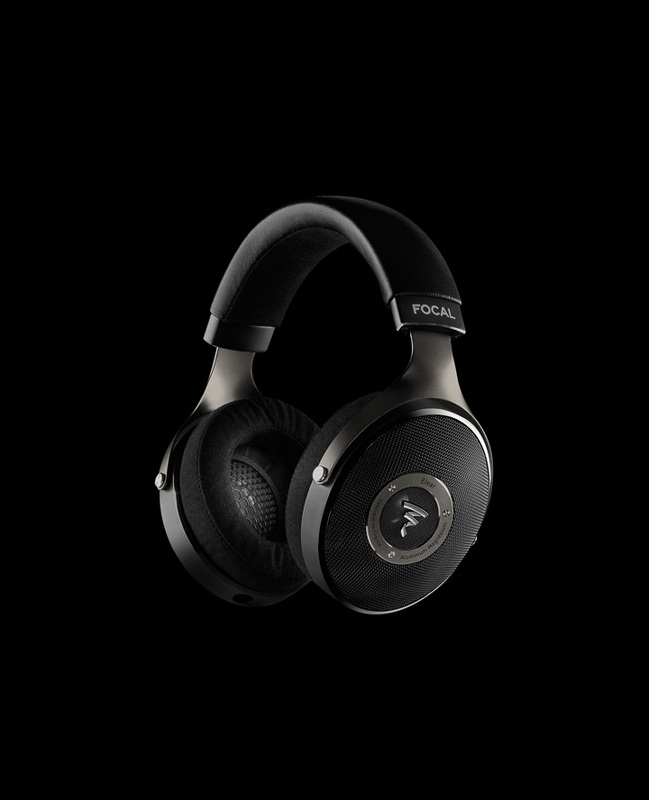 Focal has reassuringly confirmed that as a company it is cognisant of what features are essential and what features are flexible for a solidly built and beautiful sounding headphone.